For me, August means camping, and camping means s’mores. So for my belated July crack of the month, I am sharing the recipe for s’mores crack candy. All the rich buttery toffee of crack candy combined with the summery taste of s’mores! 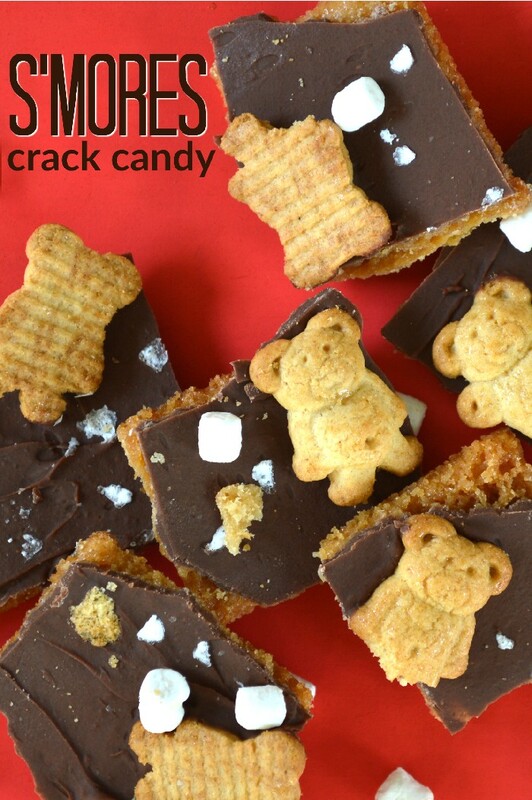 I made a different s’mores inspired batch of crack candy a few years back, but this is my new and improved version. I wasn’t as big of a fan of that batch because the texture was different from regular crack, since I used graham crackers as the base of the candy. 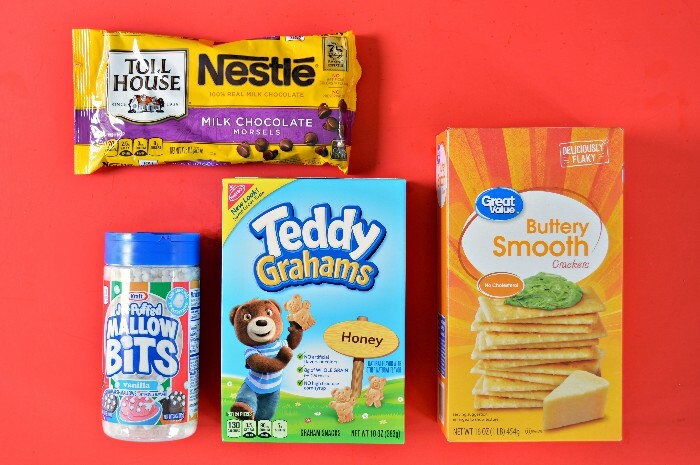 This time, I used club crackers as usual, and added the s’mores flavors with graham crackers bears and little marshmallow bits. If you’ve never had them before, these Mallow Bits are basically the kind of marshmallows you find in breakfast cereal, which means they have a nice crisp texture. Plus, the Teddy Grahams make me think of Smoky the Bear, so it’s a thematic win all around. Watch this short video to see me put together my batch of delicious s’mores crack candy. I put out new videos every week, so pop over and subscribe to my YouTube channel. 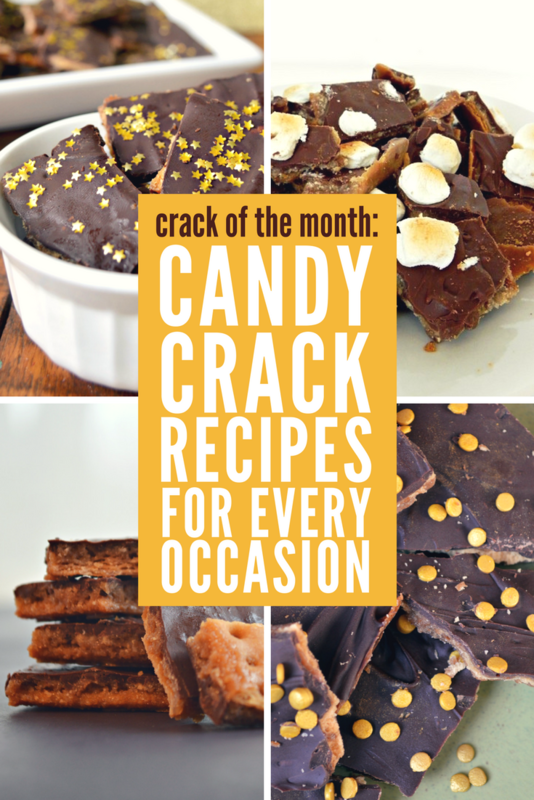 If you liked this recipe, you will love all of my different crack candy varietals.